Having taught Totally Shredded for a good few months I received a phone call from the Fight Klub creator Troy. Was thinking OMG what have I done wrong! He had called for a catch up to see how things were going, I could not believe it. I was totally blown away. Since when does the creator of a program call you personally, how amazing is that. Anyway we were chatting about Fight Klub, something I always thought was a little out of my league having tried it at FitJAM even though I loved it. 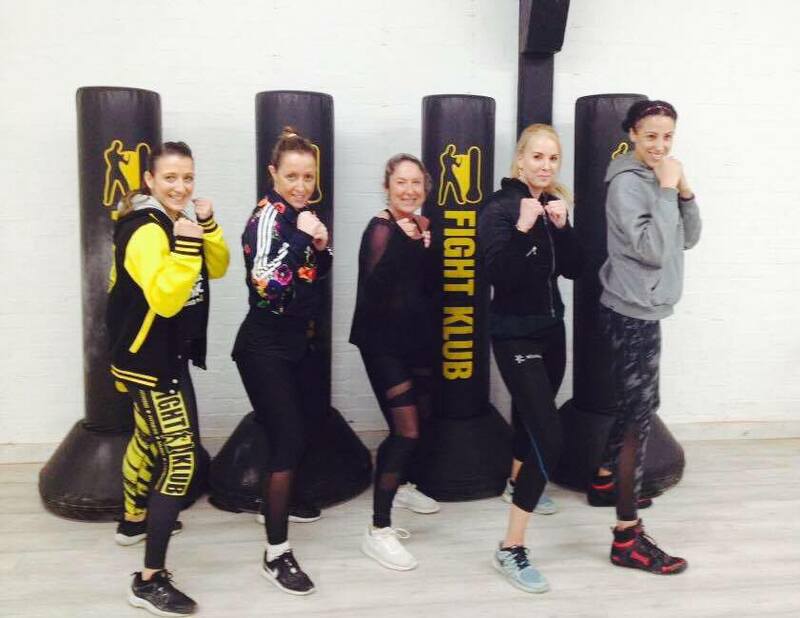 I was invited to attend a training course at Fight Klub HQ. Another WTF moment rocking up there and being trained by the main man himself. Dean and his lovely wife Stephanie were there too and their gorgeous daughter who was demonstrating press ups with ease! (runs in the family), and I was there thinking this has such a lovely feel about it, relaxed and no pressure unlike other courses you can attend and feel like your being assessed as soon as you walk in. Felt totally privileged to be there and learnt so much. I was then faced with filming and submitting my assessment and unlike Totally Shredded I couldn’t really do it with my class (a more professional approach), no I had to film it in my front room (proper amateur) and had my daughters ninja kitten video bombing me. Anyway I PASSED!!! Yay!!! Think the kitten swung it for me lol. I am so excited about bringing Fight Klub to the Surrey Massive! As soon as we have details of the launch etc we will let you know. And to add to my excitement, my gorgeous partner in fitness, Carly Linnecor, is training up so we can bring more of these amazing classes to you. BRING ON THE DRUM & BASS WORKOUT! Fight Klub and Totally Shredded in SURREY! BOOM!